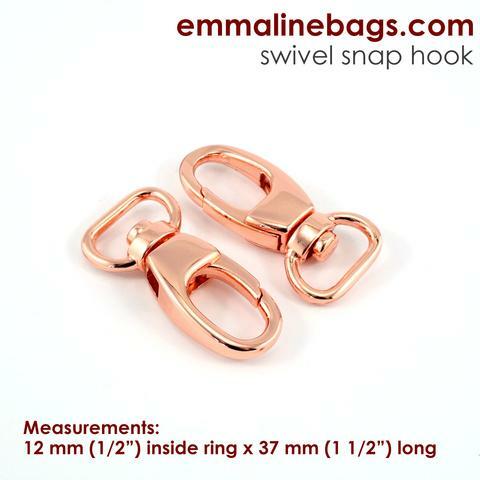 View cart “Emmaline Bags Double Cap Rivets: Medium in Gold” has been added to your cart. To be used with a 1/2” wide strap! I am so pleased with these snap hooks, they are just gorgeous! 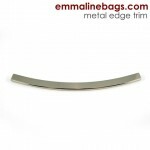 They have a very professional and high-end finish. 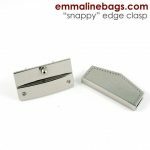 They are excellent quality and perfect for removable straps on any cute clutch, wristlet or wallet. 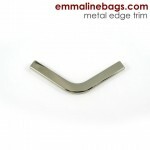 Or… make a key clip inside your bag so you never have to dig for them again! 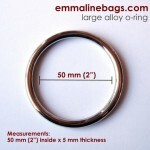 Use with a fabric loop or a small D-Ring. *Actual colour may vary slightly from what you see on your screen. Copper plated products are covered in a shiny lacquer coat so that they will not tarnish! Our Copper finish is more of a pink/copper than an orange/copper depending on the lighting. It looks a lot like “rose gold”, but without it containing actual gold.